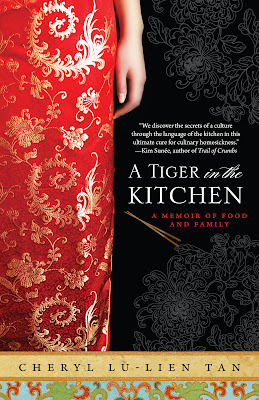 I’m sorry to report that I haven’t yet read Cheryl’s “A Tiger in the Kitchen: A Memoir of Food and Family.” Which, not that you asked, sounds far more up-my-alley than that other Tiger book. I wish I could be there Friday at 8 p.m. to hear her read at Elliott Bay Book Company. Are you going? No? What’s your excuse? (Mine has to do with a piano party: don’t ask. OK, ask me later.) You all keep singing Cheryl’s praises, telling me what a great journalist she is, and how much I’ll love her food-focused memoir of a year spent in her native Singapore, learning how to cook with her aunties and grandmother. Anyway, you should know that the book is on my stack. I’m going to read it: I promise. I’ve already listened to her interview on NPR, and I’ve read several reviews, including this one. I’ve even checked out her blog, and think I really need to make her recipe for Rolina Curry Puffs. And, who knows: Maybe I’ll get on a ferry to Bainbridge on Sunday and head to Eagle Harbor Book Co., where she’ll be reading and signing at 3 p.m. If I do, I’ll be sure to tell Cheryl you sent me.